Well times are changing. We are witnessing a renaissance in online learning. Just watch a class on MasterClass. The courses are beautiful. Or talk to a developer about Pluralsight….they love it. Increased personalization combined with engaging content, bite-sized courses, and actual skills development are just a few factors why enterprise learning has become, dare I say, exciting. 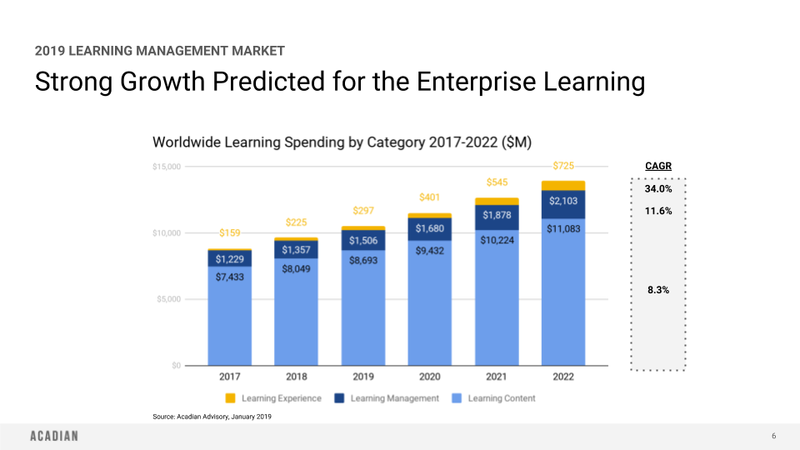 In 2019, enterprise learning — the combination of learning management, learning content, and learning experience — will surpass $10 billion in market size. While the market remains highly fragmented, the biggest winner over the last few years has been LinkedIn. When they purchased Lynda.com in 2015, the immediate focus was using the courses to bolster their consumer brand by making the content available to its premium membership. Fast forward to today and their renewed focus on enterprise customers has been well received by the market. 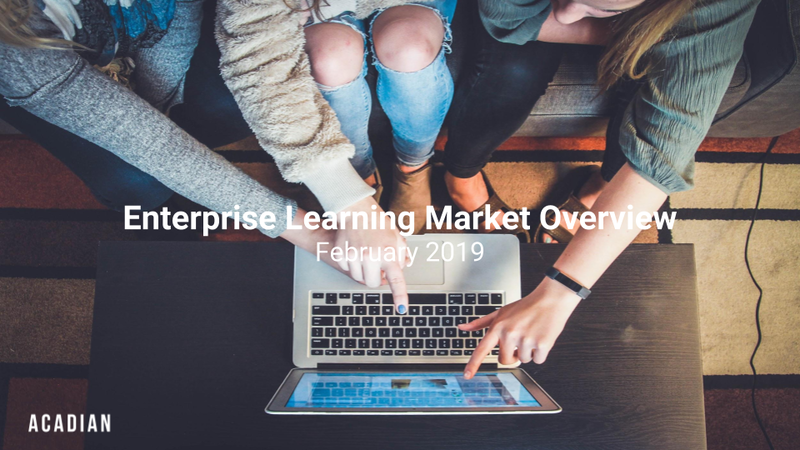 We anticipate LinkedIn will become the market share leader in enterprise learning in 2019. How, you ask? LinkedIn has also invested heavily in learning over the last 2 years. They have rapidly expanded their content library (now over 10,000 courses), increased their distribution, and added new content partnerships. Behind the scenes, they have migrating all of their content to support xAPI, a meaningful investment that provide valuable data and insights into their content. Beyond LinkedIn’s success, its important to watch what’s happening in the learning experience market (also know as Learning Experience Platforms or LXPs.) Personalization and skills development are the future of enterprise learning and learning experience platforms have the ability to deliver the future…today. We are in the early innings of the learning experience market and the winners will be determined by those who are best utilizing AI to bring together a users behavior with the best content that fits the users learning desires.